Had just 3 hrs fishing today on a very clear Bristol Avon. Any signs of the previous days rain had vanished. The ground must be very thirsty me thinks. I met Richard who I had guided a few weeks ago. He told me of a 4lb 15oz chub he had caught plus another one smaller. He also said he saw a great big chub nearer 6lbs. This concurs with another pal Andy who has seen the same fish in the very same swim. I had seen it earlier in the season and knew it to be a good fish and noted the swim. 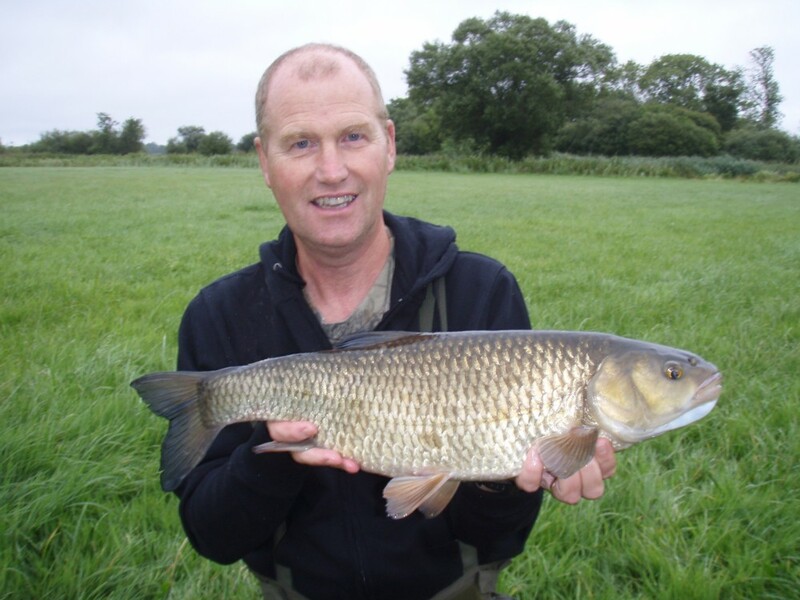 I had a 9lb plus barbel from the same swim about 3 weeks ago and Richard said he saw one which was close to a double, could this be the same fish? I fished two swims for 40 minutes in each, no signs of barbel but two cheeky chub of about 2lbs each snaffled the bait of pellet. So no blanks, but not exactly what I was after. I’m going to the H.Avon next week for a few days to try and get hold of those big chub. I might just try and get on the Royalty as one of my targets is to get a really big barbel from there this year. Chub will be my first priority like this one caught last year. This entry was posted on Wednesday, August 31st, 2011 at 9:20 am	and is filed under Uncategorized. You can follow any responses to this entry through the RSS 2.0 feed. Both comments and pings are currently closed.